Susan L. MacLaurin, CFA, joined QuadReal as Executive Vice President Corporate Communications in December 2016. Her responsibilities include building and fortifying an internal and external culture of service while supporting colleagues with the resources they require to represent the company successfully. Susan brings over thirty years’ experience in real estate. Susan was formerly Executive Vice President, Portfolio Management with GWL Realty Advisors, where she was responsible for relationship management with BCI. Previous positions included portfolio management with a Canadian pension plan, private real estate development, and commissioned real estate sales. Susan holds a B.A. 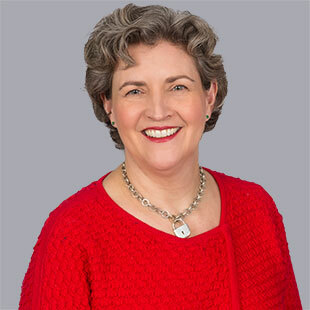 from Bryn Mawr College, an MBA from the University of Toronto, and is a member of the Institute of Corporate Directors, completing the Directors Education Program in 2007. Susan is inspired by the opportunity to support the dynamic and progressive QuadReal team, a team devoted to ensuring lasting relationships with industry associates, local and worldwide partners.